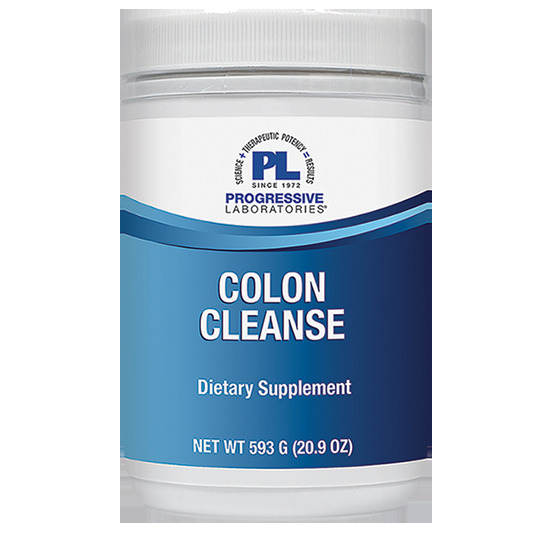 Thorough colon cleansing product containing soluble & insoluble fiber, as well as purifying herbs and digestive enzymes. Orange flavored! Psyllium (Psyberloid SR), flaxseed meal powder, fennel seed powder, deglycyrrhizinated licorice root, slippery elm bark powder, alfalfa powder (aerial parts), peppermint leaf powder, watercress leaf powder, sodium carboxymethyl cellulose, uva ursi leaf extract (20% Arbutin), citrus pectin, guar gum, papaya fruit powder, prune fruit powder, lipase (50,000 FIP/g), protease (500,000 HUT/g), cellulase (40,000 CU/g). rebaudioside A (stevia leaf extract). Contains: soy. Mix 1 scoop (approx. 20 grams) with 8 oz. of water or juice. Mix quickly and drink right away. Drink at least 8 (6-8 oz.) glasses of water daily.